Native to Asia, goldfish (Carassius auratus) have been introduced worldwide due to their popularity as pond and aquarium fish. Releases, both intentional and unintentional, have meant that this species has formed wild populations in many new locations. Concerns have been raised about the impacts that goldfish have on the aquatic community, including increasing turbidity, predation upon native fish, and helping to facilitate algal blooms. 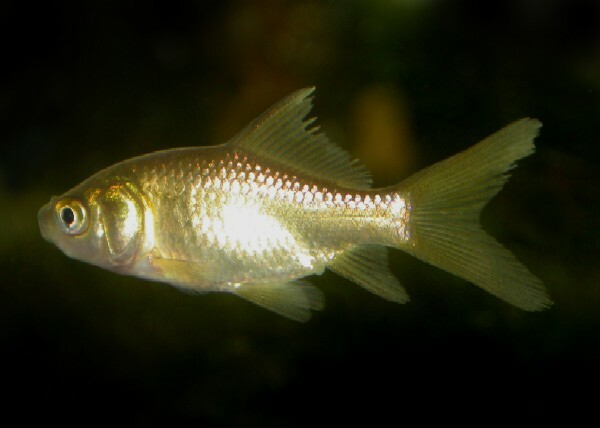 A small to moderately-sized fish with a deep body and rounded cross-section. Large head and eyes with a small mouth and a forked tail. Scales are large and the single dorsal fin has 3-4 stout spines at the leading edge. Colour ranges from olive-bronze to deep golden along dorsal surface, fading to silvery-white along the belly (McDowall, 2000). May grow up to 41cm in length, 2kg in weight and live for 30 years in captivity (FishBase, 2004). 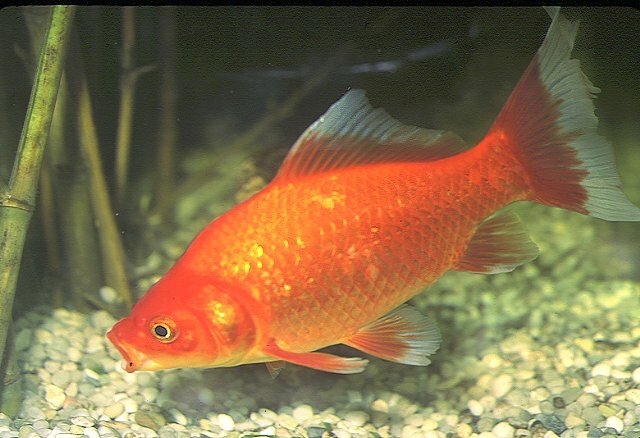 Many different varities of goldfish have been produced, through selective breeding for a wide variety of colours and fin shapes. 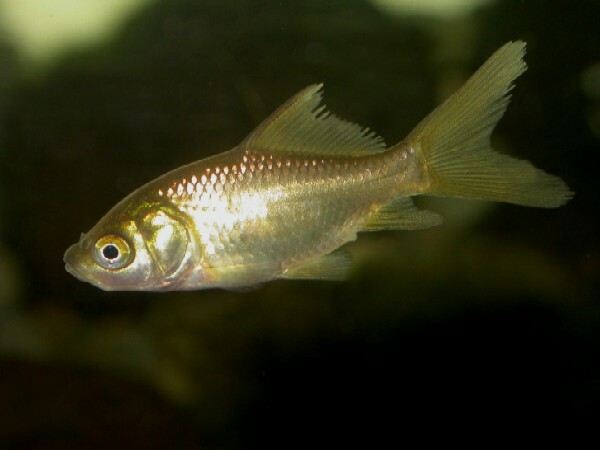 These fish usually revert to olive-bronze wild colouration and normal fin shapes if released from captivity (McDowall, 2000). Eggs hatch in around a week. Young attach to aquatic plants for several days while yolk sac is absorbed (McDowall, 2000). Valued as an ornamental pond and aquarium fish. Used in scientific experiments (FishBase, 2004). Rivers, lakes, ponds, lagoons and ditches with cold, slow-flowing water and aquatic vegetation (FishBase, 2004). Able to withstand prolonged exposure to salinities above 15 ppt (FishBase, 2004) and can tolerate low levels of dissolved oxygen (McDowall, 2000). Spawning occurs in shallow water amongst weeds, and up to several hundred thousand small eggs (1-2mm diameter) are laid at once (McDowall, 2000). Individual fish can spawn 3-10 lots of eggs at intervals of 8-10 days. 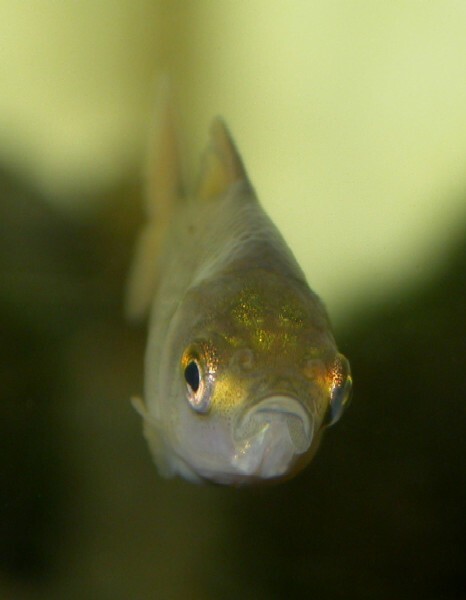 Cold water during winter is essential for proper ova development (FishBase, 2004). Eats a variety of aquatic plants (including algae), detritus, crustaceans, worms, small insects and snails (FishBase, 2004; McDowall, 2000). 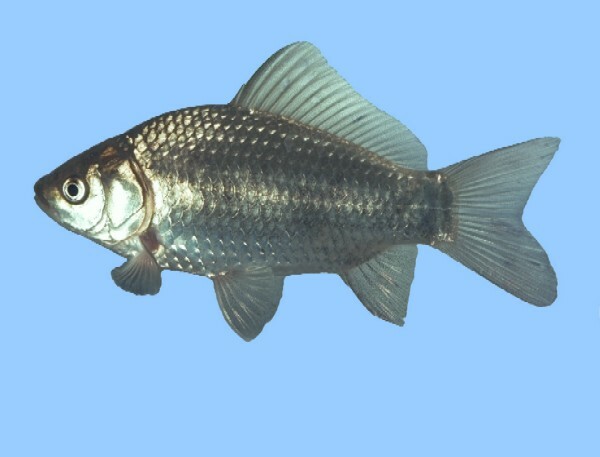 Often introduced to outdoor ponds as an ornamental fish.Introduced worlwide as aquarium fish. Principal source: McDowall, R. M. 2000. The Reed field guide to New Zealand freshwater fishes. Auckland, Reed. Recommended citation: Global Invasive Species Database (2019) Species profile: Carassius auratus. Downloaded from http://www.iucngisd.org/gisd/species.php?sc=368 on 21-04-2019. The passage of cyanobacteria through the goldfish intestine stimulates cyanobacterial growth, which may result in algal blooms occurring. The bottom-sucking feeding methods of goldfish can also contribute towards algal blooms by re-suspending nutrients, which makes them available to algae (Morgan & Beatty, 2004). Goldfish have also been known to prey upon the eggs, larvae and adult of native fishes (Morgan & Beatty, 2004), as well as increasing water turbidity and depleting aquatic vegetation (Richardson et al., 1995). Physical: Gill nets, seine nets and electrofishing can be used to control goldfish populations (Morgan & Beatty, 2004). Informations on Carassius auratus has been recorded for the following locations. Click on the name for additional informations. Beatty, S.J. & Morgan, D.L. 2009. Goldfish control in the Vasse River: summary of the 2008 programme. Technical report to Geocatch. Centre for Fish & Fisheries Research, Murdoch University, Western Australia. Morgan, David ; Stephen Beatty & Heather McLetchie., 2005. Control of feral Goldfish (Carassius auratus) in the Vasse River. Report to the Vasse-Wonnerup LCDC March-April 2005. Centre for Fish & Fisheries Research Murdoch University. Morgan, D & Beatty, S. 2004. 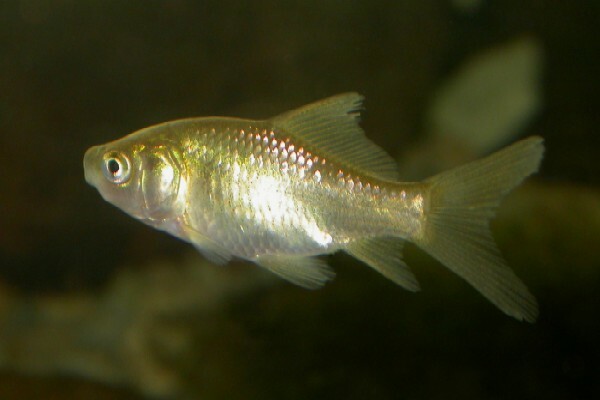 Fish fauna of the Vasse River and the colonisation by feral goldfish (Carassius auratus). Centre for Fish & Fisheries Research, Murdoch University. Summary: This report presents the results of a survey of the fish population in the Vasse River, Western Australia, with a perticular focus on the feral goldfish population. Goldfish impacts and proposed control methods are discussed. Morgan, D. L., Gill, H. S., Maddern, M. G., Beatty, S. J. 2004. Distribution and impacts of introduced freshwater fishes in Western Australia. New Zealand Journal of Marine and Freshwater Research 38: 511-523. Summary: Presents distributional data on the 10 species of introduced freshwater fish in Western Australia. Richardson, M. J., Whoriskey, F. G., Roy, L. H. 1995. Turbidity generation and biological impacts of an exotic fish, Carassius auratus, introduced into shallow seasonally anoxic ponds. Journal of Fish Biology 47(4): 576-585. Summary: Experiments show that goldfish increase turbidity and deplete aquatic vegetation. These effects may impact upon the foraging success of other species.